She brings a wealth of experience; knowledge and skills to her teaching, from her years in working in this craft and she has been so ably assisted by many drama-teaching associates and assistants along the way. Merilyn claims that ‘Students who take drama classes want to perform, to have fun, to gain confidence and work with like-minded peers and be engaged’. Confirming that engaged young people have more success at communication, in participating in school activities, life skills and they tend NOT to drop out. Merilyn doesn’t claim to have all the answers but she has many in how to work with kids, the kids she teaches tend to stay in her classes for years, stay in contact with her for decades, work in the business with her and then bring their own children to be taught by her. Merilyn’s acting life began with an opera/speech teacher who gave her amazing vocal and breathing skills, with exercises that she has continued to practice to this day. Then rigorous training with a RADA (Royal Academy of Dramatic Arts – London) teacher whose work gave depth to her already learned skills. Following was college majoring in drama, with music as her second specialist subject; combined with primary and secondary teaching gave her such an advantage in working with 8 to 18 years olds. Teaching and acting in the East End of London, with a repertory company in Birmingham saw more development of her skills. During this time she worked with many performing arts practitioners and companies ranging from experimental theatre, street theatre, and acting and singing in other interesting performance spaces. Some colleagues were at the forefront of the artistic and experimental movement that characterised and challenged the acting revolution of the 70’s. The 80’s brought her to Australia where she started her own business capitalising on the work she had done and on her two loves – Theatre and Children. Two years in and Merilyn expanded into the Film and Television Industry as an agent and an acting coach where she had loads of work in Film and Television. Many of her agency actors worked consistently and some still have ongoing careers in the Industry today. Merilyn works heavily with 8 to 18 year olds in theatre-based training and performance work. The kids perform not only at the theatre but have done so in many other locations; at the opening of the Children’s Museum, Spoleto Festival (Lygon Street), charity events, for the Epilepsy Foundation, Wesley Mission, Anglicare, shopping centres for the Starlight Foundation at the Children’s Hospital and performances for the CFA. The 90’s saw a new development with the birth of the Australian College of Dramatic Arts (ACDA). Within her work in the agency, she had always spent so much time working with her actors before they went on auditions and screen tests. So as she was constantly teaching, it became an obvious development to start a college specialising in Film and Television training. With the background of all the skills that she had trained in and taught, she wrote an extensive curriculum, which became a Nationally recognised accredited certificate training course and so in 1994 ACDA became a Registered Training Organisation (RTO). Merilyn also taught in the private sector at Fox Studios Sydney, in Country Victoria, and with many different Casting Consultants across Melbourne. In 2000 the certificate was offered for VET in Schools, the first cluster of schools was for the Yarra Valley and the host school was Lilydale High School. ACDA continues to expand and is currently across 6 clusters across Melbourne (Brimbank, IMVC, Mullum, Peninsula, Lower Hume & Yarra Valley) now with many wonderful drama teachers on board. Merilyn Brend also became a VCE Drama private provider in 2000, training VCE students in the diverse requirements of the VCE Drama Study Design. 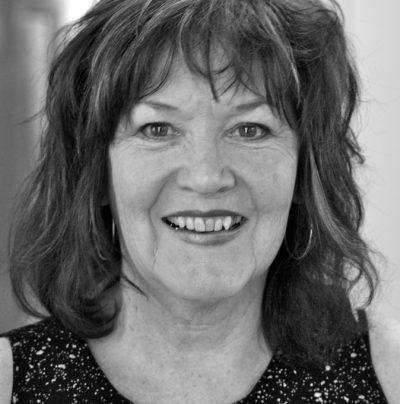 Throughout the years Merilyn has always had extensions to her work, a Youth Repertory group performed at the theatre for short seasons, Pilots for a TV series/ movie were made, former student Ryan Moloney, from Neighbours, produced the play ‘Secret Whispers’ at the theatre. Kilowhat was and still is another extension opportunity for the kids to do some extra filming – getting to the heart of what kids deal with day to day, good and bad. There are no guarantees that anyone will get work after their schooling within the arts, particularly in the acting professions, it needs a varied set of skills, of networking and of keeping current within the industry. The bright lights of the Stage and Film and Television world with media stories of acting successes often attract many but acting is actually very hard work. Did you know it’s NOT the famous celebs that she’s taught that she wants to promote (although people always ask) but the wonderful young actors that have grown up to be hardworking, talented and respectful adults?